Are you ready for some football? Or maybe just a fun meal on a stick for the kids? 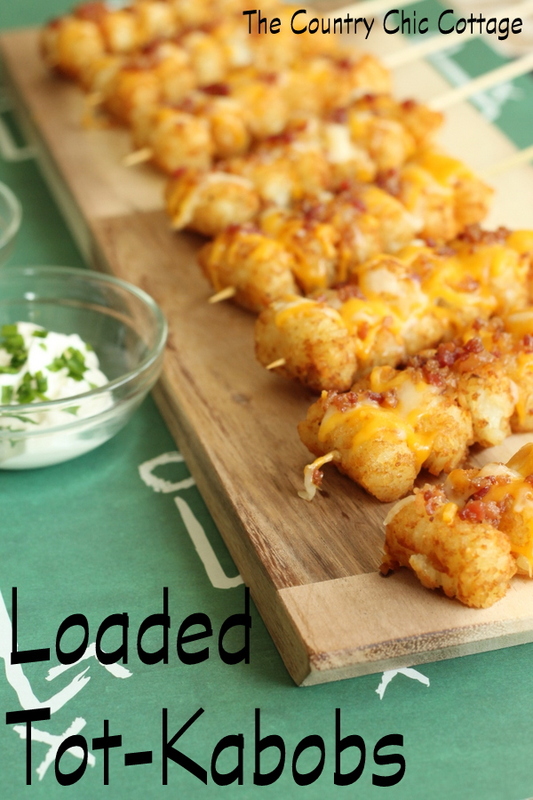 My loaded tot kabobs will fill both of those needs. 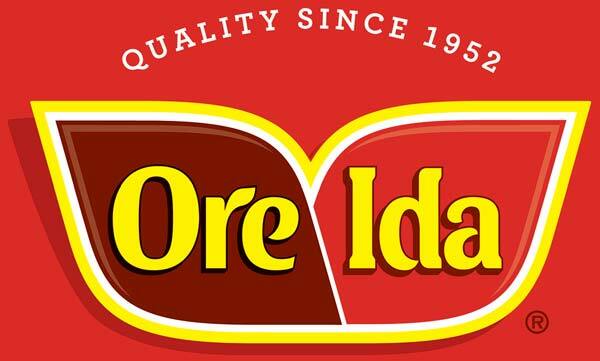 A huge thank you to Ore-Ida® for sponsoring this post. Ore-Ida® makes it easy to easily feed my kids quality food that is fun. Start by cooking your Ore-Ida® Tater Tots® according to the package directions. Allow to cool just long enough so you don’t burn your fingers. 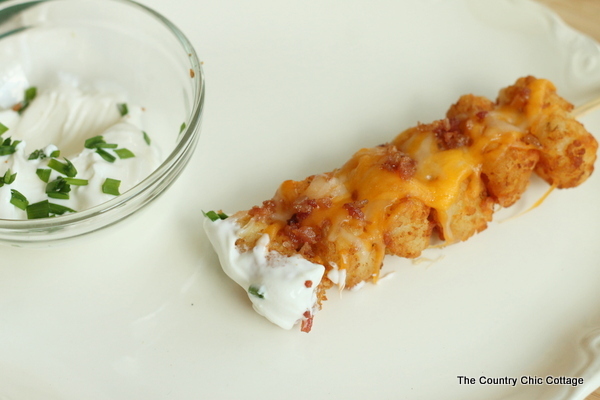 Loosen Tater Tots® potatoes from pan and begin to thread them six at a time onto the skewers. Place skewers on baking sheet and top with cheese and bacon bits (as much as you desire). Return pan to oven and bake until cheese is melted. Serve up with sour cream topped with chives as a dip. 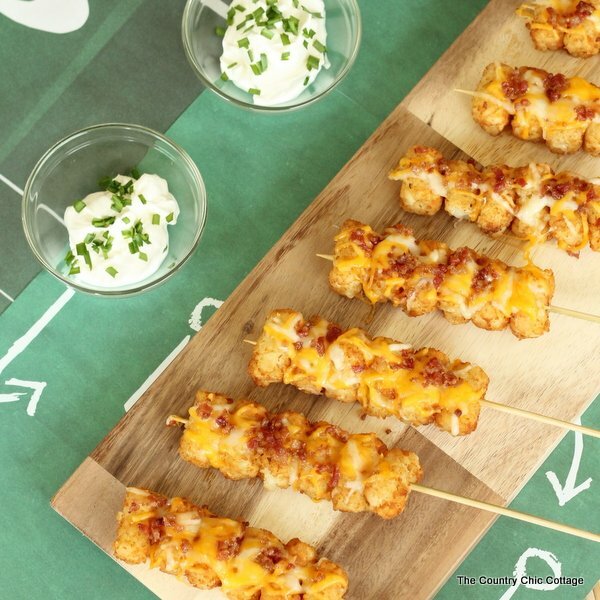 These would be great served up as an appetizer at a football party. But our family loves them for lunch on a weekend. Kids and food on a stick go hand in hand! Plus these are super easy and affordable to make. We choose 100% fresh American grown potatoes by choosing Ore-Ida® at our home. 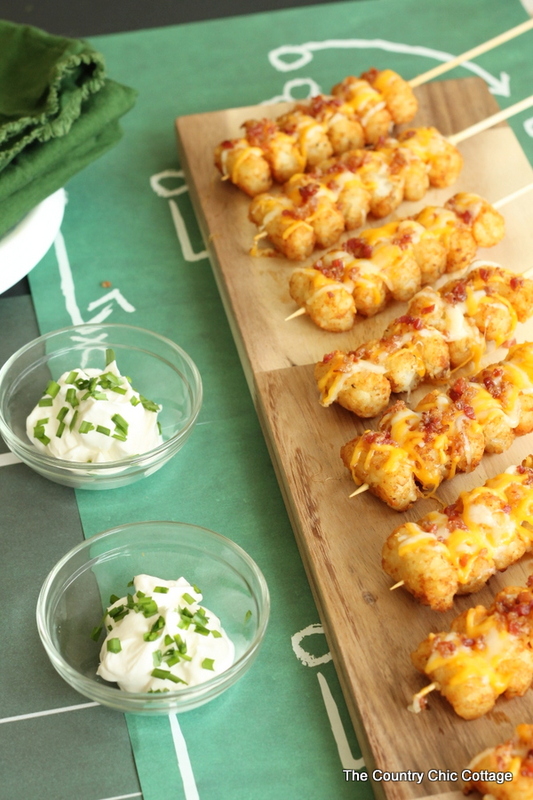 Pick up a bag of Tater Tots® and try these loaded tot kabobs for yourself. Watch them disappear as adults and kids alike devour them! Ore-Ida® uses only 100% fresh, American grown potatoes for their French Fries and Tater Tots. It’s quality you can feel good about, and the convenience you need in your busy life. 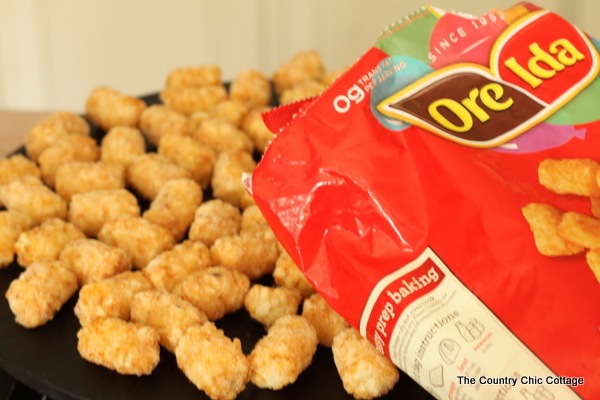 Visit http://www.oreida.com for more great recipe ideas and to learn more! Do your kids love eating meals on a stick? Be sure to check out the affiliate links below for more ideas! This is a sponsored conversation written by me on behalf of Ore-Ida. The opinions and text are all mine. Oh my gosh – my boys are going to LOVE these! What a fun idea! 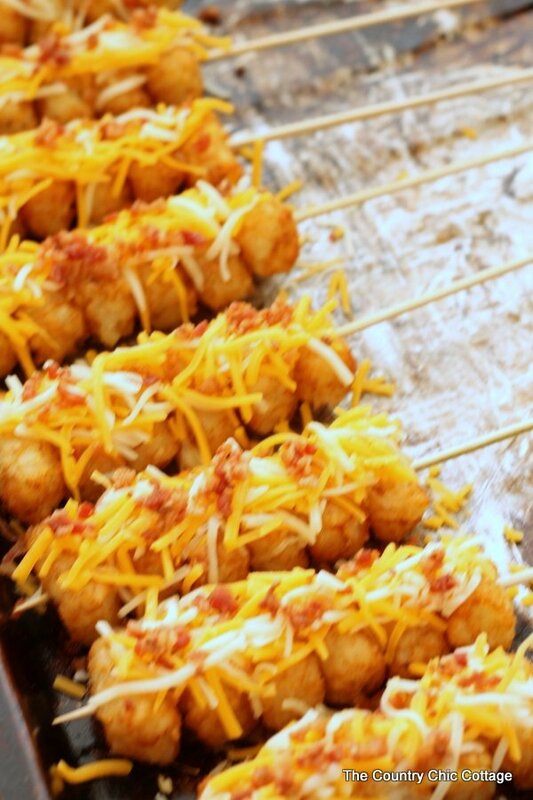 My grandkids will love these tato tots, they will eat anything on a stick. Have a bag in the freezer and could not come up with a twist to cook them. Thanks! I’m looking for a “food on a stick” item to bring to a work potluck. Are these possible to cook the tator tots beforehand, and then simply reheat in the oven with the toppings added? They do get soggy once they sit for a bit.